What woman doesn't like to get her nails done? 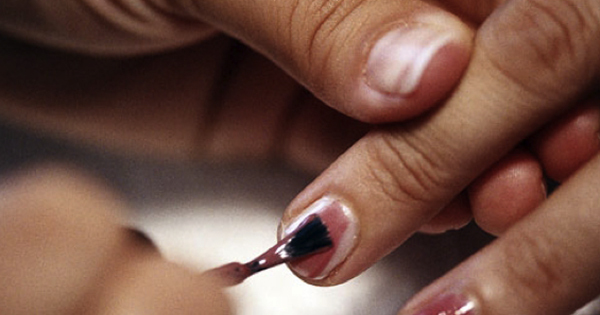 Manicures and pedicures are a luxury enjoyed by millions of women. But here's something you need to know before you indulge; manicures and pedicures can leave you with fungus, warts and infections. YUCK! #1 - Nail Fungus: be sure to ask how often the salon sanitizes the bowl, and if it was sanitized before you put your feet into the foot bath. Otherwise, you could end up with a nasty fungus -- yes, like mold, mildew only on your feet! #2 - Warts - warts are caused by a virus called human papillomavirus (HPV), which is contagious and can cause warts on your hands or feet. So, make sure you instruct your nail technician to use a new pumice stone before touching your fingers and toes. Also make sure they wear gloves. #3 - Respiratory problems - salons use chemicals, and exposure to chemicals can create respiratory irritation and trigger asthma. In fact, the U.S. Department of Labor calls them the “toxic trio,” also know as toluene, formaldehyde and dibutyl phthalate. Ask your technician if they are using these products. #4 - UV Rays - Salons use small lamps to dry your nails which emit UV rays. In small doses, the risk may be slight, but if you have your nails done regularly over a long period of time, significant damage can occur, such as skin cancer. #5 - MRSA - MRSA is a deadly staph infection called methicillin-resistant Staphylococcus aureus. Symptoms include swelling, redness, cracked skin and pus. Make sure your technician sterilizes equipment before using them on you.